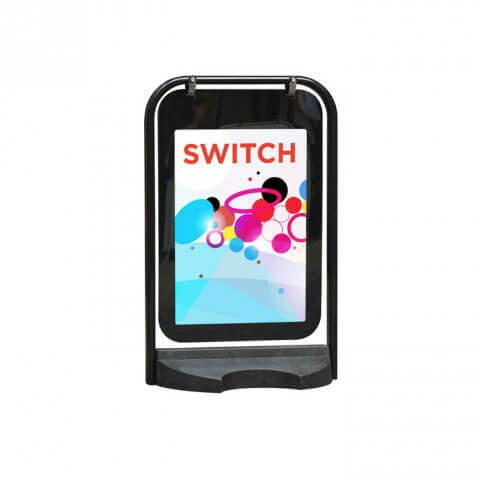 The Switch Swing pavement sign uses a polycarbonate swing panel which encloses an A2 poster. 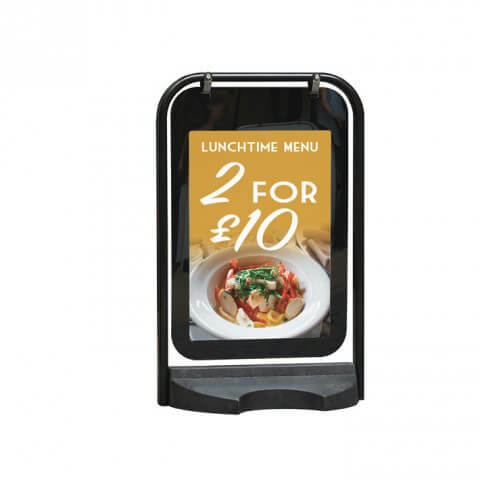 The double-sided swinging pavement sign uses a magnetic closure system. 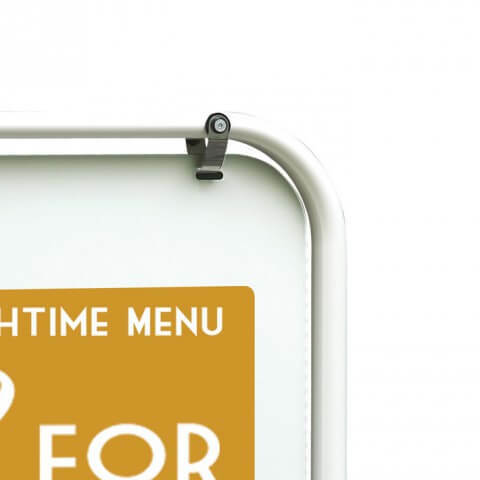 The A2 poster pocket has a printable header section. 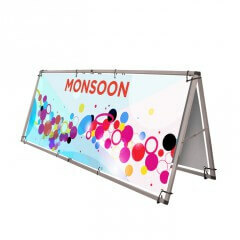 The hanging brackets are made of stainless steel and the robust frame secures into a recycled PVC base. Quick and easy assembly, no tools required. 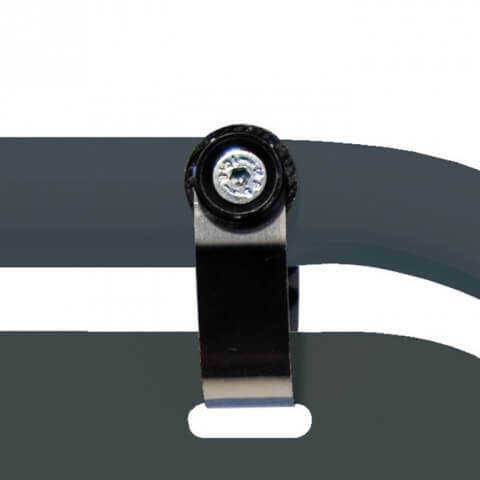 The swing sign is reinforced for strength and extremely durable. 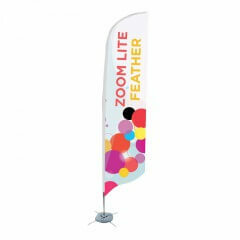 Graphics not included, and graphics suitable for outdoor use are recommended for this sign. 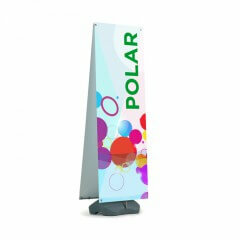 Graphic panel size – A2 594 x 420mm with a visual area of 575 x 400mm. Footprint: 585 (w) x 460 (d) x 915 (h)mm. 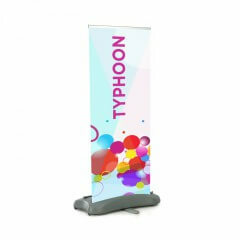 £85.00 need help? contact us!